Trade Minister Tim Groser’s cheerleader role for the United States to speed up the Trans Pacific Partnership Agreement is worrying, says New Zealand First Trade Spokesperson Fletcher Tabuteau. “Minister Groser is pushing for a Pacific rim deal that will benefit big corporations more than Kiwi consumers, taxpayers and home-grown Kiwi businesses. His motivation must be called into question. “The TPPA is being fast tracked by Congress to the signing off by President Obama. This way, the deal can be pushed past other congressmen and senators who hold reservations about the closed door nature of this dubious trade deal. 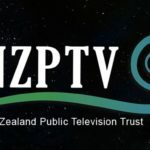 “The New Zealand Government steadfastly refuses to reveal details of the TPPA to the public what has been discussed with international corporations. “It is ironic that the Prime Minister is spending over $25m for consensus on a new flag design while Mr Groser is waving the flag for a treaty that could have devastating negative consequences for New Zealand consumers, businesses and the Government coffers. 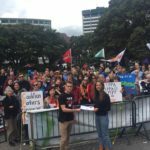 “Prime Minister John Key’s feeble excuse for shutting New Zealanders out of TPPA details is that trade deals and negotiations need to be secret. But leaked information shows fair and free trade for all 12 countries is not at the heart of the TPPA. “If the U.S. has free reign to push the TPPA through, ordinary New Zealanders need to let this government know that whilst trade is good, it cannot be at any price” says Mr Tabuteau. 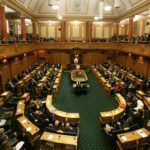 Fletcher Tabuteau’s Fighting Foreign Corporate Control Bill protects New Zealand’s interest by prohibiting multi-national companies from suing New Zealand. The member’s bill has been drawn from ballot and awaits First Reading in parliament.